Abstract: Earn Value Management is a commonly used performance measuring and reporting mechanism. There are different types of construction projects exist. Some projects are rather similar, while others are completely different in characteristics. Hence the same EVM technique will not give the best results for every project and that EVM is not even appropriate for certain projects. In applying EVM to projects, there are three commonly used Standard Practices are existed in the current practice. All these standards meet their stated objectives, but are different in their approach to the subject and detail they provide. Keywords: Construction Projects, EVM, Performance Measuring, Standards. 1. Agency, Defence Contract Management. Earn value Management Implementation Guide. Department of Defence, 2006. 2. Anbari F T. "Earned Value Project Management Method and Extensions." Project management Journal, 2003, XXXIV: 12-23. 3. Australia, Standards. AS 4817-2006. Australia: Standards Australia, 2006. 5. Buyse P, Vandenbussche T. Performance analysis of Earn Value Management in construction industry. MSc Thesis, University GENT, 2010. 6. Custer, K. Ten Things You Need to know About Earned Value Method. Custer Consultants Inc, 2008. 7. Harris, P E. Comparison of Earn value standards. Australia: Eastwood Harris (Pvt) Ltd, 2006. 8. Howes R. "Improving the performance of Earned Value Analysis as a construction project management tool." Engineering, Construction and Architectural Management, 2000: 399-411. 9. Institute, Project Management. Practice Standard for Earn Value Management. Standard, Pennsylvania: Project Management Institute, 2005. 10. Khan K A. Earned Value Project Management as an Alternative Framework for Monitoring and Evaluation of Public Sector. Management brief, Punjab: Planning and Development Department, Governement of the Punjab, 2003. 11. Marshell R. The contribution of earned value management to project success on contracted efforts: A quantitative statistics approach within the population of experienced practitioners. PMI, 2007. 12. Song L. Earned Value Management, A global and cross industry perspective on current EVM practice. USA: PMI, 2010. 13. Takim, R, A Akintoye, and J Kelly. "Performance Measurement Systems in Construction." 19th Annual ARCOM Conference, University of Brighton (Association of Researchers in Construction Management,University of Brighton), 2003: Vol. 1, 423-32. 14. Thamhain H J. Integrating Project Management Tools with Project Teams. Long Beach: Annual Project Management Institute Seminars and Symposium, 1998. 15. Vandevoorde S, Vanhoucke M. "A comparison of different project duration forecasting methods." International Journal of Project Management 24, 2006: 289–302. 16. Virgas RV. Earned value Analysis in control projects: Success or Failure? USA: Assorciation of Advancement of Cost Engineering, 47th Annual General meeting, 2003. 17. W, Bokhary. "Project Evaluation and Control System." Cost Engineering Journal, July 2010: 7-15. Abstract: Increasing the trends of productivity in industry, which consumes less space, less time are going on day to day. Technologically sound device need to be used to cope up with the situation. This Robotic Crane will be employed in the transport industry for the loading and unloading of freight, in the construction industry for the movement of materials and in the manufacturing industry for the assembling of heavy equipment. This research is motivated by the increasing usage of cranes, cost and safety issues in construction erection, manufacturing processes and the difficulties of planning in projects involving multiple cranes. Robotic crane even suits the applications such as welding operation, spray coating, assembly, inspection etc. Robotic crane which is provided a camera and remote can even work in hazardous conditions such as ‘bomb detection’, mines etc. It gives accurate and efficient work in small space and consume less time. It can also be modified for further applications. This initial effort integrates and extends prior research in robotic crane employment, loading and unloading of goods and camera enabled component tracking and visualization. Keywords: 4D model, RF signal processing, Robotic Arm and Wireless Vehicle. 2. B. Koo, M. Fischer, “Feasibility Study of 4D CAD in Commercial Construction”, in: (Journal of Construction Engineering and Management, ASCE, 126(4) 2000) 251-260. 3. P. L. Sivakumar, K. Varghese, N. R. Babu, “Automated Path Planning of Cooperative Crane Lifts Using Heuristic Search”, in: (Journal of Computing in Civil Engineering, 17(3), 2003) 197-207. 5. Deb S.R., “Robotics Technology and Flexible Automation”, 2nd Edition, Tata McGraw-Hill publication company limited, New Delhi, 1994, pp. 9,11,146,152,179. 6. Groover M.P., “Study of Robotics”, 3rdEdition., “Robotics and Control”,3rd Edition international Publication,2006, pp. 25,36. 7. Mithal R.K. and Nagrath I.J., “Robotics and Control”, 3rd Edition Tata McGraw-Hill publication company limited, New Delhi,2003, pp.24,63,58. 8. Hegde G.S., “Industrial Robotics”, 3rd Edition Laxmi Publication (p) ltd. New Delhi, 2006, pp.1, 11,113. 9. Wise E., “Robotics Demystified” handbook of Tata McGraw hill publication, reprint 2005, pp.117, 120. 10. Shivalkar B.D., “Design Data for Machine Element”, pp,25, table no,1.20. 11. Klug S., Barth O., “Design and Application of Three Degree of Freedom Bionic Robotic Arm”, technician report, Technician university, Sept 25-30, 2005. Abstract: Image processing has become an essential component in many fields of biomedical research such as tumor detection, automatically determining the volume of a heart chamber, screening lung scans for possible diseases. Different techniques for automatic detection of liver tumor involve various steps: image acquisition, segmentation, classification using neural network and optimization, and identification of tumor type. Most common segmentation approaches are: Region based, Threshold based, Level set, Clustering based and Edge detection. Liver tumor segmentation is done with region based approach in this research work. Region based methods partition an image into regions that are similar according to a set of predefined criteria where as other segmentation approaches like edge detection methods partition an image according to rapid changes in intensity near the edges. In this research work Particle Swarm Optimization (PSO) and Seeker Optimization algorithm (SOA) have been compared for classification of tumor using CT scan images. The main focus of this work is to detect liver tumor and compare results of PSO and SOA in term of detection and classification accuracy and elapsed time. Region based segmentation approach has been used for segmentation of liver and liver tumor from CT scan images. PSO and SOA are used for classification and PSO optimization gives better results in term of detection and classification accuracy and elapsed time. For liver tumor classification, PSO results with as 93.3% detection and classification accuracy where as SOA results in 60% detection and classification accuracy. Keywords: Particle Swarm Optimization (PSO), Seeker Optimization algorithm (SOA), hepatocellular carcinoma (HCC), Benign (hemangioma), Metastasized. 3. Rajesh Dikshit, Prakash C Gupta, “Cancer mortality in India: a nationally representative survey” Published Online in The Lancet, vol. 379, pp. 1807-1816, May 2012. 4. Gonzalez R. and Woods R. “ Digital Image Processing” Prentice Hall, 3rd edition, 2008. 5. K. K. Singh, A. Singh, “A Study of Image Segmentation Algorithms for Different Types of Images”, International Journal of Computer Science Issues, vol. 7, pp. 1-4, September 2010. 6. Hamarneh G., Saad A. and Möller T. “Exploration and visualization of segmentation uncertainty using shape and appearance prior information” IEEE transactions on visualization and computer graphics, vol. 16, pp. 1366-1375, December 2010. 7. Damon Wong, Jiang Liu, Yin Fengshoul Qi Tian, “A semi-automated method for liver tumor segmentation based on 2D region growing with knowledge-based constraints", MIDAS Journal Grantd challenge, vol. 5, pp. 22-25, July 2008. 8. G. Evers and M. Ben Ghalia, “Regrouping Particle Swarm Optimization: A New Global Optimization Algorithm with Improved Performance Consistency Across Benchmarks,” IEEE International Conference on Systems, Man and Cybernetics, pp. 3901-3908, October 2009. 9. G. Evers, “An Automatic Regrouping Mechanism to Deal with Stagnation in Particle Swarm Optimization,” M.S. thesis, The University of Texas-Pan American, Edinburg, TX, July 2009. 10. N. Nandha Gopal , Dr.M.Karnan, “Diagnose Brain Tumor Through MRI Using Image Processing Clustering Algorithms Such As Fuzzy C Means Along With Intelligent Optimization Techniques” IEEE International Conference on Digital Object Identifier, pp. 1-4, December 2010. 11. C. Dai, Y. Zhu, W. Chen, “Seeker Optimization Algorithm” , Lecture Notes in Computer Science, vol. 56, pp. 167-176, July 2007. 12. Marius George Linguraru, “Tumor burden analysis on computed tomography by Automated Liver and Tumor Segmentation” IEEE transactions on medical imaging, vol. 31, pp. 1965-1976, October 2012. 13. Sang-Keun Woo, Kyeong Min Kim, “Registration Method for the Detection of Tumors in Lung and Liver Using Multimodal Small Animal Imaging” IEEE transactions on nuclear science, vol. 56, pp. 1454-1458, June 2009. 14. James P. Carson, Member, Andrew Kennedy, “Detecting Distance between Injected Microspheres and Target Tumor via 3D Reconstruction of Tissue Sections” 34th Annual International Conference of the IEEE EMBS, pp. 1149-1152, September 2012. 15. S.Priyadarsini and Dr.D.Selvathi, “Survey on Segmentation of Liver from CT Image” IEEE international conference on Advance communication control and computing technologies, pp. 234-238, August 2012. 16. Sergio Casciaro, “Fully Automatic Segmentations of Liver and Hepatic Tumors From 3-D Computed Tomography Abdominal Images: Comparative Evaluation of Two Automatic Methods” IEEE sensors journal, Digital Object Identifier, vol. 12, pp. 464-473, March 2012. 17. Liu Jian-hua, “Contour correction liver cancer CT image segmentation method based on Snake model”, Second Image and Signal Processing conference, pp. 1-4, October 2009. 18. Jia Xin-Wang, Ting Ting-Zhang “CT Image Segmentation by using a FHNN Algorithm Based on Genetic Approach” 3rd Bioinformatics and Biomedical Engineering (ICBBE), pp. 1-4, June 2009. 19. K.Mala, “Neural Network based Texture Analysis of Liver Tumor from Computed Tomography Images”, International Journal of Biological and Life Sciences, vol. 2, pp. 33-40, May 2006. 20. Dirk Smeets, "Semi-automatic level set segmentation of liver tumors combining a spiral-scanning technique with supervised fuzzy pixel classification", Medical Image Analysis, vol. 13, pp. 13-20, February 2010. Abstract: Security of wireless sensor network becomes crucial issue in the latest research with the fast deployment of wireless sensor network.The latency between an attack detection and corrective action taken by the administrator is usually high and therefore ,at the time the administrator notices an attack and take some suitable action the damage was done by the attacker. Depandig on this requirement the need for Intrusion Prevention System which can not only detect attacks but also able to actively respond in malacious activities.Intrusion prevention is a preemptive approach in a system security which is used to identify malacious activities and respond quickly to mitigate anamolous behaviour.In this research paper we actively proposed a new modular approach in intrusion prevention by analyzing past approaches.A wireless IPS can also aid among the prevention of a variety of attacks.. We have a tendency to define the basics of intrusion detection in wireless network, describing the varieties of attacks and state the motivation for intrusion detection in wireless network. In this paper, we firstly indicate the developing history of WIDS, and then summarize the related work on WIPS.On these work, we propose a algorithm for wireless intrusion prevention framework. 1. Y. Zhang,G. chen,W. Weng, and Z. Wang, “An Overview of Wireless Intrusion Prevention Systems,”IEEE ICCSNA , vol. 3, no. 12, pp. 147–150, 2010. 2. K.Suresh, A.Sarala Devi, and Jammi Ashok, “A Novel Approach Based Wireless Intrusion Detection System”, IJCSIT, Vol. 3 (4) , 2012,4666 – 4669, ISSN:0975-9646. 3. Heady, R., 1990. The Architecture of a Network-level Intrusion Detection System.1st Edn., Departmentof Computer Science, Mexico, pp: 18. 4. Zamboni, D., 2001. Using internal sensors for computer intrusion detection. Purdue University. 5. Debar, H. M. Dacier and A. Wespi, 1999. Towards at axonomy of intrusion-detection systems. Comput. Netw., 31: 805-822. 6. S. Zhong, T. M. Khoshgoftaar and S. V. Nath, “A Clustering Approach to Wireless Network Intrusion Detection”, in proceedings of the 17th IEEE International Conference on Tools with Artificial Intelligence (ICTAL’O5), PP. 54-60, 2005. 7. V. Gupta and S. Gupta, “Experiments in Wireless Internet Security”, Wireless Communications and Networking Conference, (WCNC 2002), IEEE Volume 2, pp. 860-864, 2002. 8. Z. Li, A. Das and J. Zhou, “Theoretical basis for intrusion detection,” Information Assurance Workshop, (IAW 2005), Proceedinggs from the sixth Annual IEEE SMC, pp. 184-192, 2005. 9. Aleksandar Lazarevic, Vipin Kumar, Jaideep Srivastava, “Intrusion Detection: A Survey”, Managing Cyber Threats: Issues, Approaches and Challenges, Vol. 5, 2005, Springer Publisher. 10. P.Brutch and C.Ko, “Challenges in intrusion detection for wireless ad-hoc networks,” IEEE Proceedings on Workshop on Security and Assurance in Ad hoc Networks, 2003, pp368 - 373, Jan. 2003. 11. Tsakountakis, G. Kambourakis, S. Gritzalis, “Towards effective Wireless Intrusion Detection in IEEE 802.11i,” in: Security, Privacy and Trust in Pervasive and Ubiquitous Computing, (SECPerU 2007), Third International Workshop, pp. 37-42, 2007. 12. N.Ye, SM.Emran, Q. Chen and S.Vilbert,”Multivariate statistical analysis of audit trails for host-based intrusion detection”, Computers, IEEE Transactions on Volume 51, Issue 7, pp. 810 – 820, July 2002. Abstract: Power consumption for different sensor interface utilized for wireless sensor is investigated. In that most sensor nodes used MCU to implement the main functionality in software. In other words such a unit consumes great deal of power for unused circuits. We propose the use of wavelet concepts to reduce the power consumption of small sensor node that has various sensors and wireless communication facilities, that were the result of an adaptive function specialization mechanism. Traditional sensor nodes must have had a powerful and multi functional Micro-Controller Unit (MCU) to satisfy the requirements for processing any kinds of application. However, most of these systems only use a part of the functions provided by an MCU. In other words, such a unit often consumes a great deal of power for unused circuits. To avoid this situation, we propose the use of wavelet transform processing technique instead of an MCU because this array dynamically changes the circuit to the optimal one that is just used for the calculation required by an application. Moreover, we implemented a prototype system to do a preliminary evaluation of our proposed mechanism. Here processing time and power consumption using Discrete wavelet transform (DWT) for testing the processing function on sensor nodes is proposed. Here the performance of proposed wavelet technique with the existing FFT model is compared and analysed. The performance in terms of noise and power are analysed. The experimental result shows that proposed mechanism reduces enough power of its sensor nodes to prolong the lifetime of nodes without decreasing the processing time. Keywords: Wavelet, Images, FFT, Power . 1. Satoshi tanaka and Naotaka Fujita “Reconfigurable hardware architecture for saving power consumption on a sensor node” Proceedings on international conference on networks, 2008. 2. J. M. Kahn and R. H. Katz and K. S. J. Pister, “Next century challenges: mobile networking for “Smart Dust””, Proc. of the 5th annual ACM/IEEE international conference on Mobile computing and networking, pp. 271-278, USA, 1999. 3. Hans W. Gellersen and Albercht Schmidt and Michael Beigl, Kafil M. Razeeb, Cian O’Mathuna, “Multi-sensor context-awareness in mobile devices and smart artifacts”, Mob. Netw. Appl., Vol. 7, pp. 341-351, 2002. 4. Stephen J. Bellis, Kieran Delaney, Brendan O’Flynn, John Barton, Kafil M. Razeeb, Cian“Development of field programmable modular wireless sensor network nodes for ambient systems”, Computer Communications, Vol. 28, pp. 1531-1544, 2005. 6. Ali El Kateeb, Aiyappa Ramesh, L. Azzawi, “Wireless Sensor Nodes Processor Architecture and Design”, Proc. of Workshops conjunction with 22nd International Conference on Advanced Information Networking and Applications, pp. 892-897, Japan, 2008. 7. H. Hinkelmann, P. Zipf, M. Glesner, “Design Concepts for a Dynamically ReconfigurableWireless Sensor Node”, Proc. of First NASA/ESA Conference on Adaptive Hardware and Systems, pp. 436-441, USA, 2006. 8. H. Hinkelmann, P. Zipf, M. Glesner, “A Domain-Specific Dynamically Reconfigurable Hardware Platform for Wireless Sensor Networks”, Proc. of International Conference on Field-Programmable Technology 2007, pp. 313-316, Japan, 2007. 9. Ting Liu, Margaret Martonosi, “Impala: A Middleware System for Managing Autonomic, Parallel Sensor Systems”, Proc. of the 9th ACM SIGPLAN Symposium on Principles and Practice of Parallel Programming, pp. 107-118 USA, 2003. 10. W. H. Press, S. A. Teukolsky, W. T. Vetterling, B. P. Flannery, “Numerical Recipes 3rd Edition: The Art of Scientific Computing”, 3-rd edition, Cambridge University Press, pp. 608-639, USA, 2007. 11. Kenji Kodama, Naotaka Fujita, Yutaka Yanagisawa, Masahiko Tsukamoto, Tomoki Yoshihisa, “A Rule Engine to Process Acceleration Data on Small Sensor Nodes”, Proc. of the 5th International Conference on Pervasive Services, Poster Session, Italy, 2008. Abstract: This Paper will focus on the integration of GPS and Inertial Navigation Systems (INS). The measurements are acquired through Inertial Measurement Unit (IMU), which determine the position, velocities and rotations at roll, yaw and pitch axis respectively. Usually IMU’s are very expensive, but here we have used low cost IMU and by low cost it means low performance as well. This is the main reason of introducing GPS to provide stability and feedback to the system. It is observed from the results that the errors of GPS are above 8 meters. These errors are reduced up to 2-3 meters by combining Inertial Navigation System with GPS. Keywords: GPS, INS, Kalman Filter . 1. Groves, P.D., 2008, Principles of GNSS, Inertial, Multi sensor Integrated Navigation System, Artech House, Boston London. 2. Global Positioning System Standard Positioning Service Performance Standard, Department of Defense United States of America, 4th Edition, Sep 2008,. 3. Xiaoying Kong, “INS algorithm using quaternion model for low cost IMU” Robotics and Autonomous Systems, Elsevier, Volume 46, Issue 4, 30 April 2004, Pages 221-246. 5. Sukkarieh, S., “Low Cost, High Integrity, Aided Inertial Navigation Systems for Autonomous Land Vehicles,” Ph.D. Thesis, University of Sydney, March 2000. 6. Joshy, M.J., “Performance comparison of Extended and Unscented Kalman Filter implementation in INS-GPS integration,” Master Thesis, Lulea university of technology, September 2009. 7. K. J. Walchko, and Paul Mason, “Inertial Navigation,” 2002 Florida Conference on Recent Advances in Robotics, Miami, May 2002. 8. Li, Xiao-Rong, Bar-Shalom, Yaakov, “Estimation and Tracking – Principles, Techniques and Software. Artech House, Inc, 1993. 9. Maybeck, Peter S. “Stochastic Models, Estimation and Control, volume 1, 2”, Academic Press, 1979. 10. http://www.gpsoftnav.com/inertial.html. Accessed on February 22, 2013. 11. Skog, Isaac. "A low-cost GPS Aided Inertial Navigation System for Vehicular Applications." KTH Signals Sensors and Systems (2005): 49. Abstract: The term telemedicine refers to the use of telecommunications technology to enable or assist medical care when its participants are separated by distance. This connection could be achieved using any number of telecommunications technologies; the integration of wireless technologies into healthcare devices, infrastructure and systems offers the best hope for substantially improving the efficiency of healthcare delivery personnel and systems. Wireless telemedicine, also referred to as mobile health, which capitalizes on advances of wireless technologies to deliver health care and exchange medical knowledge anywhere and anytime, overcomes most of geographical, temporal, and even organizational barriers to facilitate remote diagnosis and monitoring, and transfer of medical data and records. In this paper we investigate the application of integrated IEEE 802.16/WiMAX and IEEE 802.11/Wi-Fi broadband wireless access technologies along with the related protocol issues for telemedicine services. The hybrid networks of Wi-Fi and WiMAX networks can provide high data rate and enhanced multimedia services. WiMAX (Worldwide Interoperability for Microwave Access) is a 4th generation cellular telecommunication technology currently based on IEEE 802.16e standard and it is a new telecommunications protocol that provides fixed and fully mobile Internet access. Both of them are evolved from IEEE 802.16 and IEEE 802.16a, the earlier versions of WMAN standards. The 802.16 standards only specify the physical (PHY) layer and the media access control (MAC) layer of the air interface while the upper layers are not considered. We propose and review IEEE 802.11/Wi-Fi and IEEE 802.16/WiMAX technologies, and make a comparison between IEEE 802.11/Wi-Fi and IEEE 802.16/WiMAX. Then some open research issues in the integrated IEEE 802.16/WiMAX and IEEE 802.11/Wi-Fi networks are discussed, radio resource management, Quality of Service (QoS) management, scheduling and connection admission control schemes, as well as handover and mobility management are reviewed and discussed in this paper. Finally, applications and deployment scenarios of integrated IEEE 802.16/WiMAX and IEEE 802.11/Wi-Fi for telemedicine services are further deliberated. Keywords: Telemedicine, WiMAX, Wi-Fi, QoS, OFDMA, Wireless Access Point. 1. . Guainella, E. Borcoci, M. Katz, P. Neves, M.Curado, F. Andreotti, and E. Angori," WiMAX technology support for applications in environmental monitoring, fire prevention and telemedicine", Technical Research Centre of Finland, 2009. 2. Tulu B., Chatterjee S., "A Taxonomy of Telemedicine Efforts with respect to Applications", Infrastructure, Delivery Tools, Type of Setting and Purpose. Proceedings of the 38th Hawaii, International Conference on System Sciences, 2005, page 147.2. 3. Y. H. Lin et al., “A Wireless PDA-Based Physiological Monitoring System for Patient Transport,” IEEE Trans. Info. Tech. Biomed., vol. 8, no. 4, Dec. 2004, pp. 439–47. 4. C. H. Salvador et al., “Airmed-cardio: A GSM and Internet Services-Based System for Out-of-Hospital Follow-Up of Cardiac Patients,” IEEE Trans. Info. Tech. Biomed., vol. 9, no. 1, Mar. 2005, pp. 73–85. 5. D. Konstantas, V. Jones, and R. Herzog, “MobiHealth —Innovative 2.5/3G Mobile Services and Applications for Health Care,” Proc. IST Mobile and Wireless Telecommunication. Summit ’02, Thessaloniki, Greece, 17–19 June, 2002. 6. Y. Chu and A. Ganz, “A Mobile Teletrauma System using 3G Networks,” IEEE Trans. Inform. Tech. Biomed., vol. 8, no. 4, Dec. 2004, pp. 456–62. 7. DusitNiyato, EkramHossain, "A Hierarchical Model for Bandwidth Management and Admission Control in Integrated IEEE 802.16/802.11 Wireless Networks", IEEE Communications Society subject matter experts for publication in the WCNC 2007 proceedings IEEE 802.11 Working Group, IEEE 802.1-2007: LAN Medium Access Control (MAC) and Physical Layer (PHY) Specifications, 12.06.2007. 8. Sassan Ahmadi, An overview of next generation mobile WiMAX technology, IEEE Communication Magazine (2009). 9. "Part 11: Wireless LAN Medium Access Control (MAC) and Physical layer (PHY) specifications: Amendment 7: Medium Access Control (MAC) Quality of Service (QoS) Enhancements", IEEE Unapproved Draft, Rev.D12.0, 2004. 10. J. G. Andrews, Ph. D and R. Mohamed," Fundamentals of WiMAX: Understanding Broadband Wireless Networking", Upper Saddle River, NJ: Prentice Hall, 2007. 11. F. Hsieh, F. Wang, and A. Ghosh, "Link Performance of WiMAX PUSC ”, IEEE WCNC, Apr. 2008. 12. Amitabh Kumar, "Mobile Broadcasting with WiMAX: Principles, Technology, and Applications", Burlington, MA 01803, USA,2008. 13. R. Giuliano, M. Luglio and F. Mazzenda, "Interoperability between WiMAX and broadband mobile space networks", Communications Magazine, vol. 46, n. 3, March 2008, pp. 50-57. 14. C. Ravichandiran, Dr. C. Pethuru Raj, and Dr. V. Vaidhyanathan, "Analysis, Modification, and Implementation (AMI) of Scheduling Algorithm for the IEEE 802.16e (MobileWiMAX)" , (IJCSIS) International Journal of Computer Science and Information Security Vol. 7, No. 2, 2010. 15. Syed Ahson, Mohammad Ilyas, "WiMAX Applications", by Taylor & Francis Group, LLC,CRC Press is an imprint of Taylor & Francis Group, an Informa business, 2008. 17. "WiMAX and LTE: The Case for 4G Coexistence". Available: http://www.wimax.commentary/news/wimax_industry_news/2010/january-2010/wimax-and-lte-the-case-for-4g-coexistence-0106. 18. X. Zhu, J. Huo, S. Zhao, Z. Zeng, and W. Ding, "An adaptive resource allocation scheme in OFDMA based multiservice WiMAX systems”, in IEEE International Conference on Advanced Communication Technology,2008, pp. 593–597. 19. Yanqun Le, Yi Wu, "An Improved Scheduling Algorithm for rtPS Services in IEEE 802.16", Nokia Siemens Networks, Beijing, China,2009. 21. Dr. Vaithiyanathan, C. Ravichandiran, "An Incisive SWOT Analysis of Wi-Fi, Wireless Mesh, WiMAX and Mobile WiMAX Technologies", IEEE (ICETC 2009), Singapore, 2009. 22. NafizImtiaz, Bin Hamid, and Adnan Mahmud, “Optimizing the Handover Procedure in IEEE 802.16e Mobile WiMAX Network” - 3rd National Conference on Communication and Information Security (NCCIS 2009), Dhaka,Bangladesh.PP.23-28. 23. Wen-HsingKuo, Jeng-Farn Lee, "Multicast Recipient Maximization in IEEE 802.16j WiMAX Relay Networks", IEEE transactions on vehicular technology, VOL. 59, NO. 1, January 2010. Science, ENST Bretagne, 29238 Brest Cedex 3, France, 2006. 25. Zielinski K., Duplaga M., and Ingram D., "Information Technology Solutions for Health Care", Health Informatics Series, Springer-Verlag, London Ltd 2006. 26. C. Delgorge et al., “A Tele-Operated Mobile Ultrasound Scanner Using a Lightweight Robot,” IEEE Trans. Info. Tech. Biomed., vol. 53, no. 4, Mar. 2005, pp. 50–58. 27. Yamauchi K., Chen W., and Wei D., "3G Mobile Phone Applications in Telemedicine -A Survey "; Proceedings of the 2005 The Fifth International Conference on Computer and Information Technology (CIT’05). J. Mauricio Lach, Ricardo M. Vázquez. Simulation Model Of The Telemedicine Program, Proceedings of the 2004 Winter Simulation Conference, pages: 956 – 960. 28. Harwindersingh, Maninder Singh, "Performance Analysis of QoS in PMP Mode WiMax Networks", Punjabi University, Patiala,2010. Abstract: This paper presents the modeling and simulation of apodized fiber Bragg grating as dispersion compensator and effect of grating length on dispersion coefficient is also observed. Grating length is a critical parameter which drastically affects the characteristics of grating. In this study, polymer coated grating has been used and results shows that as the refractive index of polymer is increased sensitivity of the grating is increased but dispersion compensation quality is reduced. Here three different apodization functions have been used for dispersion compensation among these Tanh function shows the best results as cosine function have significant no. of side lobes. 1. O. Kenneth Hill and G. Meltz, “Fiber Bragg Grating Technology Fundamentals and Overview”, Lightwave Technology, 8th ed. vol. 15, 1997, pp. 1263-1276. 2. Lu. Ping , Men Liqiu and Chen Qiying, “Polymer-Coated Fiber Bragg Grating Sensors for Simultaneous Monitoring of Soluble Analytes and Temperature”, IEEE Sensors journal, 4th ed. vol. 9, April 2009. 3. Liu, Hongbo and Liu, Huiyong and Peng, Gangding and Whitbread, Trevor W, “Tunable dispersion using linearly chirped polymer optical fiber Bragg gratings with fixed center wavelength”, Photonics Technology Letters, IEEE, 2nd ed. Vol. 17, 2005, pp. 411-413. 4. Kashyap~R., “Fiber bragg gratings”, Elsevier, 2nd edition,2009. Fiber Bragg Grating”, Global Journal of Researches In Engineering, 2012, 2-D ed. Vol. 12. 6. Ugale Sunita P. and Vivekanand Mishra, “Higher Order Diffraction Characteristics of Fiber Bragg Grating”, IJECCE, 1st ed. Vol. 4, 2013, pp. 122-125. 7. Bandelow U and Leonhardt U, “Light propogation in one-dimensional lossless dielectrica: transfer matrix method and coupled mode theory”, Optics communications, 1st ed. Vol. 101, 1993, pp. 92-99. 8. G. Keiser, “optical fiber communications”, McGraw-Hill, New York, 1983. Abstract: In today’s world, the amount of information available and to be processed is increasing day by day and there is a necessity to manage these large volumes of data. It becomes tedious to handle the data via manual database supervision tools or conventional data handling applications. The advancement in technology facilitates the ease of handling the information by providing a common platform and results in quick reference and easy maintenance. E-governance covers various aspects and operations in any government and is a sensitive and vital concern for any nation. In any government, there is massive amount of information to be maintained and secured and hence record management under E-governance is crucial. In this paper, we have covered the aspects of E-governance in various domains and the importance of cloud computing and security in record management has been analyzed. Keywords: Business Intelligence, Cloud Computing, E-governance, Electronic Record Management. 2. Vijaykumar and Jaison Thomas, “Application of Information Communication Technology in College Libraries”, S International Multidisciplinary Research Journal, 2012, 2(2), pp. 91-94. 3. Dr. A.Padmapriya, “E-Governance: A move towards paperless Administration in India”, International Journal of Computer Trends and Technology, Vol. 4, Issue 3, 2013. Management Vol. 3, No.6, 2013. 8. Sudip Suklabaidya and Angshu Maan Sen, “Challenges and Prospects of E-governance in Education”, International Journal of Emerging Trends & Technology in Computer Science (IJETTCS) Vol. 2, Issue 3, May – June 2013. 9. N VijayKumar, “Role of ICT in e-Governance: Impact of Cloud Computing in Driving New Initiatives”, SETLabs Briefings Vol. 9, No 2, 2011. Abstract: This paper represents a partial gate all around cylindrical tunnel FET. In this device gate is applied over half of the channel and the entire source and hetero-gate dielectric is used. A compact electrostatic model for potential of the proposed device is formulated using central difference technique considering 16x16 matrix. Optimization has been done for various gate materials since electrical parameters like OFF current, ON current, threshold voltage, vertical electric field are strong function of gate work function. Furthermore, the proposed device is also compared with cuboidal partially gate-all-around 3D structure for gate oxide scaling. The results of the potential model show good agreement with the simulated data obtained from TCAD simulation. Keywords: Band-to-band tunneling, partial gate all around, work function..
1. Y. Taur. (2002). CMOS Design near the limit of scaling. 46. IBM J. Res & Dev. 2. H.S. Wong HS, K.K Chan, and Y. Taur, “ Double-gate MOSFET with a 25 nm thick silicon channel,” Int. Electron Device Meeting Tech. Dig.,1997, pp. 427-430. 5. C. Hu, “Gate oxide scaling limits and projection,” IEEE Int. Electron Devices Meeting, 1960, pp. 319-322. 8. S. Mookerjea, R. Krishnan, S. Datta, and V. Narayanan. (2009). On Enhanced Miller Capacitance Effect in Interband Tunnel Transistors. IEEE ELECTRON DEVICE LETTERS. 30. 9. P. Ashburn. (2004).SiGe heterojunction bipolar transistor. John Wiley & Sons, Ltd, Chichester , 2004. 10. P. Dollfus. (1997). Si/Si1-xGex heterostructures: electron transport and field-effect transistor operation using Monte Carlo simulation. 82. J. Appl. Phys. pp. 3911-3916. 11. D.K.Ferry and S.M Goodnick. 1997). Transport in Nanostructures. Cambridge University Press, NewYork. 12. S. Mookerjea S, R. Krishnan, S. Datta, and Narayanan. (2009). Effective capacitance and Drive current for Tunnel FET (TFET) CV/I estimation. IEEE Transaction on Electron Devices. 56, pp.2092- 2098. 13. P.G. Agopian, MDV.Martino, S.G. Filho,J.A. Martino, R. Rooyackers, D. Leonelli. (2012). Temperature Impact on the Tunnel FET off state components. Solid State Electronics. 78 , pp. 141-146. 14. W.M. Reddick, G. Amaratunga. (1995). Silicon surface tunnel transistor. Applied Physics Letters. 67, pp. 494-496. 15. Y. Tsividis. (1999). Operation and Modeling of the MOS Transistor .2nd Edition McGraw Hill; New York.16. F. Conzatti, M.G. Pala, D. Esseni, E. Bano and L. Selmi. (2012). Stain-Induced Performance Improvements in InAs Nanowire Tunnel FETs.IEEE Transaction on Electron devices. 59, pp. 2085-2092. 17. M.G. Bardon, H.P. Neves, R. Puers and, C. Van Hoof. (2010). Pseudo Two Dimensional Model for Double-gate Tunnel FETS considering Junction depletionregions. IEEE Trans on Electron Devices. 5. 18. L.W. Johnson and RD. Riess.(1977). Numerical Analysis. Addision-Wesley. Don Mills: Ontario. 19. Synopsys TCAD Sentaurus Device Manual, 2010. 20. K.E. Moselund, M.T. Bjork, H. Schmid, H. Ghoneim, S. Karg, E. Lortscher, W. Riess, H Riel. (2011). Silicon Nano wire Tunnel FETs: Low temperature Operation and Influence of High-k gate dielectric. IEEE Transaction on Electron Devices. 58 . 21. H. Dadgow, V. De, K. Banerjee, “Statistical Modeling of Metal gate workfunction Variability in Emerging Device Technology and Implication for circuit design,” IEEE Explore. 2008. 22. D. Sharma, S. Vishvakarma. (2012). Precise analytical model for short channel cylindrical gate Gate-All-Around(GAA) MOSFET. Science direct. 86, pp. 68-74. Abstract: RF Micro-Electro-Mechanical System is one of the most promising technology as it provides potential of wide operational bandwidths, negligible interconnect losses, and almost ideal responses of switches and resonators. Structures such as low insertion loss and high Q-filters and tuners, resonators, and low-loss tunable phase shifters are few examples of revolutionary RF/microwave components that can be realized by using RF-MEMS technology. The given work focuses on the design and fabrication of multi-cavity high quality factor K-band MEMS filter, which employs substrate integrated waveguide (SIW) and micro-machined via-hole arrays by Inductively Coupled Plasma etching process. Non-radiation dielectric waveguide (NRD) will be formed by metal filled via-hole arrays and grounded planes. The three dimensional (3D) high resistivity silicon substrate filled cavity resonator is fed by current probes using CPW line. It will be designed and fabricated (if possible). Cavity filters are the basic circuitry behind a duplexer and are sharply tuned resonant circuit that allows only certain frequencies to pass. Filter of this kind are known as notch filters. Physically a cavity filter is a resonator inside a conducting "box" with coupling loops at the input and output. These cavities are constructed as cylinders, with an axial tuning capacitor. Keywords: SIW, Via holes, cavity filters. 1. D. Deslandes and K. Wu, “Design Considerations and Performance Analysis of Substrate Integrated Waveguide Components”, Milano, European Microwave Conference, 23-27 Sept. 2002, pp. 881-884. 3. DESLANDES, D., WU, K. Single-substrate integration technique of planar circuits and waveguide filters. IEEE Trans. on Microwave Theory and Techniques, 2003, vol. 51, no. 2, pp. 593 - 596. 6. Kamaljit Rangra, “Electrostatic Low Actuation Voltage RF-MEMS Switches for Telecommunications, PhD Thesis”. University of Trento, Italy, FEB-2005. 7. Gabriel M.Rebeiz, “RF MEMS Theory, Design and Technology”, 1st ed. Wiley- Interscience, 2003. 9. X. Chen, W. Hong , T. Cui, Z. Hao, K. Wu, “Substrate Integrated Waveguide (SIW) Elliptic Filter With Transmission Line Inserted Inverter”,Electron. Lett., Vol.41, pp851-852, July 2005. 10. X. Chen, W. Hong, T. Cui, J. Chen, and K.Wu, “Substrate integrated waveguide (SIW) linear phase filter, ” IEEE Microwave and Wireless Comp. Lett., vol. 15, pp.787-789, Nov. 2005. 12. L.Harle and L.P.B. Katehi, “A silicon micro-machined four-pole linear phase filter,” IEEE Trans. on Microwave Theory and Tech., vol. 52, pp.1598-1607, June 2004. Abstract: Welding input parameters play a very significant role in determining the quality of a weld joint. The joint quality can be defined in terms of properties such as weld-bead geometry, mechanical properties, and distortion. Generally, all welding processes are used with the aim of obtaining a welded joint with the desired weld-bead parameters, excellent mechanical properties with minimum distortion. The Submerged Arc Welding (SAW) process finds wide industrial application due to its easy applicability, high current density and ability to deposit a large amount of weld metal using more than one wire at the same time. It is highly emphasized in manufacturing especially because of its ability to restore worn parts. In order to obtain an efficient joint, several process parameters of SAW need to be studied and precisely selected to improve weld quality. SAW is characterized by a large number of process parameters influencing the performance outputs such as deposition rate, dilution and hardness, which subsequently affect weld quality. An exhaustive literature survey indicates that five control factors, viz., arc current, arc voltage, welding speed, electrode stick-out and preheat temperature, predominantly influence weld quality. In relation to this, an attempt has been made in this study to analyses the effect of process parameters on outputs of welding using the Taguchi method. 1. K. srinivasulu reddy, “Optimization & Prediction of Welding Parameters and Bead Geometry in Submerged Arc Welding”, International Journal of Applied Engineering Research and development (IJAERD) ISSN 2250-1584 Vol. 3, Issue 3, Aug 2013. 2. Vukojevic, N., Oruc, M., Vukojevic, D. et al., "Performance analysis of substitution of applied materials using fracturemechanics parameters", Tehnicki vjesnik-Technical Gazette, 17, 3 (2011), pp. 333-340. 3. Younise, B., Rakin, M., Medjo, B., et al.,"Numerical analysis of constraint effect on ductile tearing in strength mismatched welded CCT specimens using micromechanical approach", Tehnicki vjesnik- Technical Gazette, 17, 4(2010), pp. 411- 418. 4. Sharma, A., Chaudhary, A. K., Arora, N., et al.,"Estimation of heat source model parameters for twin- wire submerged Arc welding", International Journal of Advanced Manufacturing Technology, 45, 11-12(2009), pp. 1096-1103. 5. Pillia, K. R., Ghosh, A., Chattopadhyaya, S., Sarkar, P. K., Mukherjee, K.,"Some investigations on the Interactions of the Process Parameters of Submerged Arc Welding", Manufacturing Technology & Research (an International Journal), 3, 1(2007), pp. 57-67. 6. Ghosh, A., Chattopadhyaya, S., Sarkar, P. K.,"Output Response Prediction of SAW Process", Manufacturing Technology & Research (an International Journal), 4, 3(2008), pp. 97-104. 7. Ghosh, A., Chattopadhyaya, S.,"Prediction of Weld Bead Penetration, Transient Temperature Distribution & HAZ width of Submerged Arc Welded Structural Steel Plates", Defect and Diffusion Forum, 316-317(2011), pp. 135-152. 8. S. C. Juang and Y. S. Tarng, Process parameters selection for optimizing the weld pool geometry in the tungsten inert gas welding of stainless steel, J. of Materials Processing Technology, Vol. 122, 2002, 33-37. 9. H. K. Lee, H. S. Han, K. J. Son and S. B. Hong, Optimization of Nd-YAG laser welding parameters for sealing small titanium tube ends, J. of Materials Science and Engineering, Vol. A415, 2006, pp. 149-155. 10. L. K. Pan, C. C. Wang, Y. C. Hsiso and K. C. Ho, Optimization of Nd-YAG laser welding onto magnesium alloy via Taguchi analysis, J. of Optics & Laser Technology, Vol. 37, 2004, pp. 33-42. 11. E. M. Anawa, A. G. Olabi and M. S. J. Hashmi, Optimization of ferritic/Austenitic laser welded components, presented at AMPT2006 Inter. Conf. July 30 – Aug. 3, 2006, Las Vegas, Nevada, USA, 2006. 12. E. M. Anawa and A. G. Olabi, Effect of laser welding conditions on toughness of dissimilar welded components, J. of Applied Mechanics and Materials, Vol. 5-6, 2006, 375-380. Abstract: In this paper a simple spreadsheet program method of calculations for the complete kinematics, kinetostatics, and dynamic analysis of the inline and offset types of the crank-and-connecting-rod mechanism is presented. Being a single degree-of-freedom mechanism as defined by its crank angle, the program can be used to answer “what-if” scenario questions through tables and graphical plots to evaluate variations of key motion and loading parameters with changes in the crank angle. The program also allows for the conduct of parameter studies in selecting optimum crank-and-connecting-rod linkage dimensions and speeds. Extreme positions are accounted for in the inline model using the Ching-U and Price model equations. An equation derived for the offset model, estimates and predicts relative crank angle position, and relative extremum maximum velocity, to within 93-to-96 % of actual absolute extremum maximum piston velocity guided by applications of the extreme value principle. Keywords: Crank-and-Connecting-Rod Mechanism, Inline Slider-Crank, Inverse Dynamics, Kinematics of Mechanisms, Kinetostatics, Mechanisms, Mechanism Synthesis, Offset Slider-Crank, Slider-Crank Mechanism. 1. P. N. Sheth, J. J. Uicker Jr., “IMP (Integrated Mechanism Program), A computer-aided design analysis system for mechanisms and linkage”, Transactions of ASME, May, 1972, pp 454-464. 3. R. L. Norton, Design of Machinery, 2nd ed., Boston: McGraw-Hill, 1999, pp. 725-764. 5. R. S. Khurmi, J. K. Gupta, Theory of Machines, New Delhi: Eurasia, 2008, pp. 1002-1049. 6. F. Freudenstein, G. N. Sandor, H. A. Rothbart, (ed. ), Kinematics of Mechanisms: Mechanical Design & Systems Handbook, 2nd ed., McGraw-Hill, 1985, ch. 4. 7. C. E. Wilson, J. P. Sadler, W. J. Michels, Kinematics and Dynamics of Machinery, New York: Harper Collins, 1983. 8. S. Doughty, Mechanics of Machines, New York: John Wiley, 1988, pp. 23-39. 9. P. E. Nikravesh, Computer-Aided-Analysis of Mechanical Systems, Prentice-Hall, pp. 247. 10. J. Kaplan, B. Pollick, “Kinematic analysis”, Machine Design, January, 1954, pp. 153-160. 11. T. Jack, “Lecture notes in mechanics of machines”, Rivers State University of Science and Technology, 2006. 12. J. E. Shigley, Theory of Machines, New York: McGraw-Hill, 1961 pp. 248-259. 13. J. L. M. Morrison, B. Crossland, An Introduction to the Mechanics of Machines, Longmans, Green & Co., 1966, pp. 57, and pp. 207 . 14. IP Ching-U, L. C. Price, “A simple formula for determining the position of maximum slider velocity in a slider-crank mechanism”, Transactions of ASME, February, 1958, pp. 415-417. 15. T. Mura, T. Koya, Variational Methods in Mechanics, New York: Oxford University Press, 1992, pp. 3. 16. L. D. Hoffman, G. L. Bradley, K. H. Rosen, Calculus , 8th ed., Boston: McGraw-Hill, 2004, pp. 231-236. 17. L. D. Hoffman, G. L. Bradley, Finite Mathematics with Calculus, 2nd ed., New York: McGraw-Hill, 1995, pp. 697-718. 18. J. Hannah, J., R. C. Stephens, Mechanics of Machines, 4th ed., New Delhi: Viva, pp. 159-162. 19. J. L. Meriam, L. G. Kraige, Engineering Mechanics -Dynamics, 4th ed., New York: John Wiley, 1998, ch. 5. 20. M. R. Spiegel Mathematical Handbook of Formulas and Tables, Schaum’s Outline Series, New York: McGraw-Hill., 1990. Abstract: An ad hoc network is a collection of wireless mobile nodes dynamically forming a temporary network without the use of any pre-existing network infrastructure. A number of ad hoc routing protocols have been developed during the time, but none of these is able to produce efficient routing of packets in large number of nodes due to their own limitations. Therefore, scalability is an open issue in all routing protocols. In this paper, we presented our observations regarding the scalability comparison of the three MANET routing protocols, Ad hoc On Demand Distance Vector (AODV), Temporally Ordered Routing Protocols (TORA) and Optimized Link State Routing (OLSR) by varying the number of nodes. The simulation is done by using OPNET Modeler 14.5 simulator by taking throughput and network delay as performance metrics. In case of delay AODV and OLSR perform in a similar manner as the number of nodes increases. However, in throughput OLSR outperforms AODV and TORA. 1. IETF Working Group MANET: http://www.ietf.org/ html charters/manet-chart er.html. 2. Amandeep Makkar, Bharat Bhushan, Shelja and Sunil Taneja, “Behavioral study of MANET Routing Protocols”, International Journal of Innovation, Management and Technology, Singapore, Vol. 2,No. 3, PP. 210-216, June 2011. 3. Ashish Shrestha, Firat tekiner, “On MANET Routing protocols for Mobility and Scalability” 2009 International Conference on Parallel and Distributed Computing, Applications and Technologies, Higashi Hiroshima, IEEE, Dec- 2009, . 5. Temporally-Ordered Routing Algorithm (TORA): http://tools.ietf.org/html/draft-ietf-manet-tora-spec-04. 7. Laxmi Shrivastava, Sarita S. Bhadauria, G. S. Tomar, “Performance Evaluation of Routing Protocols in MANET with different traffic loads”, 2011 International Conference on Communication Systems and Network Technologies, Harbin, China, IEEE, June 2011. 8. Sabina Baraković, Suad Kasapović, and Jasmina Baraković, “Comparison of MANET Routing Protocols in Different Traffic and Mobility Models”, Telfor Journal, Vol. 2, No. 1,PP. 8-12, 2010. 9. Introduction to OPNET Modeler, 2007 OPNET Technologies. 10. N Vetrivelan and Dr. A. V. Reddy,” Performance Analysis of Three Routing Protocols for Varying MANET Size”, Proceedings of International MultiConference of Engineers and Computer Scientists, IMECS 2008, Singapore, Vol. 2 , PP. 10-21, March 2008. Abstract: Power quality issues, their modeling and mitigation techniques are became hot research topics soon after the introduction of solid state devices in power system. These nonlinear loads, power electronics based ASDs, UPSs are used in industries in large numbers for smooth operation and control. These equipment also introduce power quality issues such as harmonics, reduction in power factor, voltage unbalance, transients etc. These issues cause malfunction or damage of power system equipments. In this paper, harmonics and reactive power are considered as major issues and shunt active power filter is used for compensation. Three phase thyristor converter fed resistive load is considered as test system in this work. Different methods of harmonic analysis and mitigation techniques are surveyed by the author. In this paper, harmonic analysis of source current at the point of common coupling is done using LabVIEW based harmonic analyser, and the reactive and harmonic components of the source current are separated with the help of LabVIEW based intelligent control software. It also generates the switching signals to control voltage source inverter, used as active filter. Simulation and experimental studies using LabVIEW based control system shows the satisfactory performance. Keywords: Data acquisition system, Harmonic compensation, Intelligent controller, Power Quality, Reactive compensation, Shunt Active Filter. 1. J. Arillaga, N. R. Watson, and S. Chen: Power System Quality Assessment, John Wiley and Sons, Chichester, 2001. 3. E.salem, S.Mohamed: Development of a DSP Board Power Quality Monitoring Instrument for Real Time Detection of Power Disturbances, In: IEEE PEDS, 2005. 4. S.H.Laskar: Real Time Power Quality Monitoring by Software Development, In: 46th International Universities’ Power Engineering Conference, 5-8th September 2011, Germany. 5. Shahedul Haque Laskar, Mohibullah Muhammad: Power quality Monitoring by Virtual Instrumentation using LabVIEW, Proceedings of 46th International Universities Power Engineering Conference UPEC 2011, Germany. 6. Jing Chen, Tinhao Tang: Power Quality Analysis Based on LABVIEW for Current Power Generation System, In:Proceedings of International symposium on Power Electronics, Electrical Drives and Automation, 2012. 7. W.L.Tse, W. L. Chan: A Low cost Web based Supply Voltage Quality Monitoring System, In:Pakistan Journal of Information and Technology 2(3): 256-264, 2003. 8. S.Kaewarsa,K.Attakitmongcol, Kulworawanipchong: Recognition of power quality events by using multiwavelet based neural networks, In: Electrical Power and Energy Systems,2008,pp.254-260. 9. Recayi Pecen, MD Salim, Ayhan Zora : A LabVIEW based instrumentation system for a wind – solar hybrid power Station, In: Journal of Industrial Technology, Vol.20, No.3, June 2004. 10. John T. Oldenburg: Using National Instruments LabVIEW software in an Introductory Electronics Course – MOSFET Transistor Parameter Estimation and Bias Circuit Design, In: Proceedings of the 2004 American Society for Engineering Education Pacific Southwest Section Conference April 1-2, 2004, University of the Pacific, Stockton, CA. 11. Zoran Stevic, Zoran Andjelkovic, Dejan Antic: A New PC and LabVIEW Package based system for Electrochemical Investigations, In: Sensors 2008, Vol.8, pp.1819-1831. 12. Jose Aquiles Basseo Grimoni: Using LabVIEW in a Mini Power System Model Allowing Remote Access and New Implementations, In:International Conference on Engineering Education-ICEE 2007. 13. IEEE Guide for harmonic control and reactive compensation of Static Power Converters, IEEE Standard 519-1992. 14. Bhim Singh, Kamal Al-Haddad and Ambrish Chandra: A Review of Active Filters for Power Quality Improvement’, In: IEEE Transactions on Industrial Electronics, Vol. 46, No. 5, October 1999. 15. Manjula G.Nair and G. Bhuvaneswari: Design, ‘Simulation and Analog Circuit Implementation of a Three-phase Shunt Active Filter using the Icos Algorithm’, In: IEEE PEDS 2005. 17. LabVIEW user manual 8.5.1. Abstract: Spatial planning focuses on the balanced development of the urban areas. The balanced development necessitates physical, land use planning along with the provision of both physical and social infrastructure. The important services such as health and education are single most important services that determine the social development. The current system of master planning has attempted to provide for reservations of land use through designating it as Public and Semi-public land uses. This includes the category of “civic amenities” as stipulated by the development plan prepared by the Urban Development Authority. Provision of social infrastructure is important from the perspective of the Millennium Decade Goals for achieve the social sector goal. Further, the metholodological problems of arriving spatial equivalent of population per unit area as a mere provision of land use for social infrastructure may not fulfil the actual demands. The development of the land by providing a facility in consistent manner is a necessity. The paper discusses the effectiveness of land use reservations for civic amenities while implementing schemes of Master Plan for social infrastructure in the city of Bangalore. The paper attempts to define civic amenities within the planning framework, the regulations in support of the provision in the new areas and finally the implementation review of the earlier spatial documents. Keywords: Civic Amenities, Public and Semi-Public, Land Use, Policy. 3. Bangalore Development Authority (BDA) (2007). ‘Revised Master Plan - 2015, Zonal Regulation, Volume 3’, Bangalore. 5. Government of India (1996), “Urban Development Plans Formulation and Implementation Guidelines (UDPFI)”, Ministry of Urban Affairs and Employment, New Delhi. 6. Govt. of India, Planning Commission (2008). Eleventh Five Year Plan, 2007-2012 vol. III. Oxford, India. 8. UNECE (2000). UNECE Strategy for Sustainable Quality of Life in Human Settlements in the Twenty-first Century (HBP/1999/4/Rev.1). UNECE, Geneva. 9. 3iNetwork (2006), “Indian Infrastructure Report 2006- Urban Infrastructure”, Oxford University Press. 10. 3iNetwork (2009), “Indian Infrastructure Report 2009, Land—A Critical Resource for Infrastructure”, Oxford University Press. Abstract: Cryptography enables all processes, transactions, and communications to be safely performed electronically. Public key achieve confidentiality and has the ability to create a digital signature where as private key achieve confidentiality. Public key Cryptography is an extremely active subject of research with important applications in electronic commerce and internet security. In particular key exchange is used in secure socket layer protected communication and public key digital signature is used to verify the malicious software. This paper explains a public-key cryptography algorithm using chinese remainder theorem and binary manipulations such as reverse, division, multiply and addition of binary number etc.,. The security of the above scheme is based on the difficulty of finding a specific solution of the binary number. The chinese remainder theorem is used to hide the technique mentioned above, before making the hidden sequence of above to be transformed modulus. This algorithm has security against any kind of forgeries. Keywords: Binary Manipulation, Cryptography, Chinese Remainder Theorem, Public Key . 2. W.Diffie and M.E.Hellman “Exhaustive Cryptanalysis of the National Bureau of Standard (NBS) Data Encryption Standard”, Computer pp. 78-84, June-1977. 3. “American National Standard for Data Encryption Algorithm (DEA)” ANSI X3.92-1981, American National Standards Institute New York. 4. “DES modes of operation” NBS Federal Information Processing Standard P ublication 74, National Technical Information Service, Springfield, VA-1980. 5. IBM Syst.J., (Special Issue on Cryptography) Vol-17. No. 2, 1978. 7. Koblitz “Elliptic Curve Cryptosystem”, Mathematics of Computation Vol-48, Pages 203-209, 1978. 8. W. Diffie and M. E. Hellman. New Directions in Cryptography. IEEE Transactions on Information Theory, IT-22(6) pp. 644-654, November 1976. Computing Machinery, 21(2) pp. 120-126, February 1978. 10. National Institute of Standards and Technology (NIST). FIPS Publication 186: Digital Signature Standard. National Institute for Standards and Technology, Gaithersburg, MD, USA, May 1994. 11. H.Dobbertin “Cryptanalysis of MD-4” FSE-96, PP. 53-69, 1996. 12. National Institute of Standard and Technology (NIST) “ Secure Hash Standard” Federal Information Processing Standards Publication FIPS PUP 180, May-1993. 13. C.H. Bennett and G. Brassard, “Quantum Cryptography: Public-Key Distribution and Coin Tossing,” Proceedings of the IEEE International Conference on Computers, Systems, and Signal Processing, Bangalore, India, 1984. 14. G.Brassed “On Computationally Secure Authentication Tag Requiring Short Secret Shared Keys” in Proc. Of International Cryptology Conference on Advances in Cryptology R. L. Rivest, A. Shamir, and D.Chaum Eds Plenum Press New York , 1983 PP 79-86. 16. ZHANG Yun-peng* LINXia WANG Qiang ” Asymmetric Cryptography Algorithm with Chinese Remainder Theorem” Proceedings of IEEE-2011. 17. Johann GroBschadl: " The Chinese Remainder Theorem and its Application in a High-Speed RSA Crypto Chip." Proceedings of IEEE-2008. 18. IEEE P1363, Standard Specification for Public Key Cryptography”, Nov-2000. Abstract: recent days, reactive enjoying strike has appeared as an exceptional security risk to wireless sensor network [WSN]. A few schemes are generated to acknowledge the trigger nodes, whose valid transmitting stimulates any reactive jammer. After identifying the trigger node, the node may likely be shut down to deactivate the jammer and its particular routing information is eliminated within the routing table, then the node cannot be employed again within the system. Because the node can't be used again in the community it is among the important downsides. Consequently to overcome the problem, Through this record we suggest a novel strategy, where the accepted trigger nodes are put directly into the checking mode, to ensure that we are able to re-use the trigger nodes, after deactivating the jammer node in the city. Keywords: Reactive Jamming, Jamming detection, Trigger Identification, Jammer node, Jamming, Reactive jammer node, Sleep mode, Report message..
1. D. Z. Du & F. Hwang, pooling designs: Group testing in molecular biology. Word scientific 2006. 2. R. Gupta, J. Walrand& O. Goldschmidt, “Maximal clique in unit disk graphs: polynomial approximation,” proceedings international network optimization conference (INOC), 2005. 3. M. Strasser, B. Daner, & S. Capkun,“Detection of reactive jamming in sensor networks,” ACM transaction, sensor networks, vol 7, pp. 1-29, 2010. 4. W. Xu, K. Ma, W. Trappe, & Y. Zhang, “Jamming sensor networks: attacks and defense strategies,” IEEE network, vol 20, no 3, pp. 41-47, may/June 2006. 5. Shin, Y.Shen, Y.Xuan, M.T.Thai, &T.Znati, ”Reactive jamming attacks in multi-radio wireless sensor networks: An efficient mitigating measure by identifying trigger nodes.” Proceedings 2nd ACM international workshop foundations of wireless adhoc and sensor networking and computing (FOWANC), in conjunction with mobihoc, 2009. 6. M.Li, I.Koutsopoulos&R.poovendran, ’’Optimal jamming attacks and network defense policies in wireless sensor networks.” Proceedings IEEE INFOCOM, 2007. 7. M. Cakiroglu& A.T. Ozcerit, “Jamming detection mechanisms for wireless sensor networks.” Proceedings 3rd international conference. Scalable information systems (InfoScale), 2008. 8. Ying Xuan, YilinShen, Nam P. Nguyen and My T Thai, “Trigger identification service for defending reactive jammers in WSN,” Proceedings IEEE International Conference on Mobile Computing, 2012. 9. P.Tague, S.Nabar, J.A.Ritcey&R.Poovendran, ”Jamming- Aware traffic allocation for multipath routing using portfolio selection.” IEEE/ACM Transaction networking, vol 19, no 1, pp 184-194 Feb 2011. 10. W.Hang, W.Zanji, &G.Jingbo, ”performance of DSSS against repeater jamming,” Proceedings IEEE 13th International conference Electronics, Circuits and systems (ICECS), 2006. 11. A.D.Wood, J.Stankovic&S.Son, ”A jammed area mapping service for sensor networks,” proceedings IEEE 24threal¬time systems symp (RTSS), 2003. 12. V.Guruswami&C.P.Rangan, ”Algorithmic aspects of clique traversal and clique independent sets,” discrete applied math, vol. 100, pp 183-202, 2000. 14. K. Pelechrinis, I. Koutsopoulos, I. Broustis, and S.V. Krishnamurthy, “Lightweight Jammer Localization in Wireless Networks: System Design and Implementation,” Proc. IEEE 28th Conf. Global Telecomm. (GlobeCom ’09), 2009. 15. R.A. Poisel, Modern Communications Jamming Principles and Techniques. Artech House, 2004. Abstract: Now days the use of mobile wireless devices is increases tremendously all over the world which leads researchers to frequently work over the new improvements in mobile ad hoc network communication protocols, which we can called as MANET routing protocols. The main aim behind these researches is to outperform the existing routing protocols by extending them with new algorithms or methods in order to present the unique communication protocol. In the literature we have studied many routing protocols which are basically categorized into three main types such as reactive, proactive and hybrid routing protocols. In this paper we are discussing all routing protocols for MANET those are comes under these three types. Apart from the main routing protocols, there are many improved routing protocols presented by different researchers and still research is going on day by day. In MANET, it is very tough task to predict the performance of routing protocol under varying network conditions and scenarios. During this paper we are discussing about all existing routing protocols with main focus on their features, functionalities and characteristics. 1. C K Toh, Ad Hoc Mobile Wireless Networks, Prentice Hall Publishers , 2002. 2. Robinpreet Kaur & Mritunjay Kumar Rai, A Novel Review on Routing Protocols in MANETs, Undergraduate Academic Research Journal (UARJ), ISSN : 2278 – 1129, Volume-1, Issue-1, 2012. 3. Tarek Sheltami and Hussein Mouftah “Comparative study of on demand and Cluster Based Routing protocols in MANETs”, IEEE conference, pp. 291-295, 2003. 4. Elizabeth M. Royer“A Review of Current Routing Protocols for Ad Hoc Mobile Wireless Networks” University of California, Santa Barbara Chai-Keong Toh, Georgia Institute of Technology, IEEE Personal Communications, pp. 46-55, April 1999. 5. Krishna Gorantala , “Routing Protocols in Mobile Ad-hoc Networks”, A Master’ thesis in computer science, pp-1-36, 2006. 6. Abdellah Jameli, Najib Naja and Driss El Ouadgiri “Comparative Analysis of Ad Hoc Networks Routing Protocols For Multimedia Streaming”, IEEE, 1999. 7. Shakkeera “Optimal path selection technique for Flooding in Link State Routing Protocol Using Forwarding Mechanisms in MANET”. 9. Nicklas Beijar “Zone routing protocol” Networking Laboratory, Helsinki University of Technology, P.O. Box 3000, FIN-02015 HUT, Finland. Journal of Distributed and Parallel Systems (IJDPS) Vol.3, No.4, July 2012. 11. Mina Vajed Khiavi, Shahram Jamali, Sajjad Jahanbakhsh Gudakahriz, Performance Comparison of AODV, DSDV, DSR and TORA Routing Protocols in MANETs, International Research Journal of Applied and Basic Sciences. Vol., 3 (7), 1429-1436, 2012 ISSN 2251-838X ©2012 Victor Quest Publications. Abstract: Now days the approach of cloud computing is providing utility oriented computer services to end users all over the world. At same time, cloud users can make number of requests for different cloud services and their resources. With help cloud we can able to access our personal or public data or applications from anyplace and anywhere. Many commercial companies from the world can able to take the required resources on rent from the cloud for storage of their private data as well as for other purposes. This can help companies to reduce their costs in using extra infrastructures significantly. Cloud can offer companies security to their applications or data and allow its access to them based on pay-as-you-go model. As the number of requests to cloud computing for their usages resulted into the disadvantages as well. The main challenge in cloud computing is related to the efficient allocation of their resources. If there is no optimized technique for resource allocation in cloud computing then it resulted into long delays, end user hang out, request failure. Hence it is required to use optimized resource allocation technique with aim of minimizing resource allocation delays and their costs. In this paper we are aiming to present different techniques for resource allocation in cloud computing. Keywords: Cloud Computing, Resource Allocation, Cost Optimization, resource management, Quality of Service. 1. V. Vinothina, Dr. R. Shridaran, & Dr. Padmavathi Ganpathi, A survey on resource allocation strategies in cloud computing, International Journal of Advanced Computer Science and Applications, 3(6):97--104, 2012. 2. Gunho Lee, Niraj Tolia, Parthasarathy Ranganathan, and Randy H. Katz, Topology aware resorce allocation for data-intensive workloads, ACM SIGCOMM Computer Communication Review, 41(1):120--124, 2011. 3. Abirami S.P. and Shalini Ramanathan, Linear scheduling strategy for resource allocation in cloud environment, International Journal on Cloud Computing: Services and Architecture(IJCCSA), 2(1):9--17, 2012. 4. Daniel Warneke and Odej Kao, Exploiting dynamic resource allocation for efficient parallel data processing in the cloud, IEEE Transactions On Parallel And Distributed Systems, 2011. 5. Atsuo Inomata, Taiki Morikawa, Minoru Ikebe and Md. Mizanur Rahman, Proposal and Evaluation of Dynamic Resource Allocation Method Based on the Load Of VMs on IaaS, IEEE, 2010. 6. Dorian Minarolli and Bernd Freisleben, Uitlity–based Resource Allocations for virtual machines in cloud computing, IEEE, 2011. 7. Gunho Lee, Niraj Tolia, Parthasarathy Ranganathan, and Randy H.Katz, Topology aware resource allocation for data-intensive workloads, ACM SIGCOMM Computer Communication Review, 41(1):120--124, 2011. 8. Li Li, Niu Ben. Particle swarm optimization [M]. Beijing: Metallurgical Industry Press, 2009. 9. Daniel Warneke and Odej Kao, Exploiting dynamic resource allocation for efficient parallel data processing in the cloud, IEEE Transactions On Parallel And Distributed Systems, 2011. 10. A.Singh ,M.Korupolu and D.Mohapatra. Server-storage virtualization:Integration and Load balancing in data centers. In Proc.2008 ACM/IEEE conference on supercomputing (SC’08) pages 1-12, IEEE Press 2008. 11. AndrzejKochut et al. : Desktop Workload Study with Implications for Desktop Cloud Resource Optimization,978-1-4244-6534-7/10 2010 IEEE. 12. Atsuo Inomata, TaikiMorikawa, Minoru Ikebe, Sk.Md. MizanurRahman: Proposal and Evaluation of Dynamin Resource Allocation Method Based on the Load Of VMs on IaaS(IEEE,2010),978-1-4244-8704-2/11. 13. D. Gmach, J.RoliaandL.cherkasova, Satisfying service level objectives in a self-managing resource pool. In Proc. Third IEEE international conference on self-adaptive and self organizing system. (SASO’09) pages 243-253.IEEE Press 2009 . 14. Arkaitz Ruiz-Alvarez, Marty Humphrey, A Model and Decision Procedure for Data Storage in Cloud Computing, in Proceedings of the IEEE/ACM International Symposium on Cluster, Ottawa Canada, 2012. 15. Qi Zhang, Quanyan Zhu, Raouf Boutaba , Dynamic Resource Allocation for Spot Markets in Cloud Computing Environments, Fourth IEEE International Conference on Utility and Cloud Computing (UCC), Melbourne Australia, 2011. Abstract: Mobile ad hoc networks (MANETs) are useful in environment where fixed network infrastructure is unavailable. To function normally, MANETs demand an efficient and distributed medium access control (MAC) protocol. However, characteristics of MANETs such as radio link vulnerability, mobility, limited power pose great challenges on MAC design. Through this report, firstly identifying the challenges that are facing MAC in MANETs. Then presenting discussion on the problems with IEEE 802.11, especially those relevant in a singlehop and multihop networks and various techniques that have been proposed to enhance the channel utilization of wireless networks. Keywords: medium access control ( MAC),mobile ad hoc networks (MANETs), quality of service (QoS),fairness, energy-efficiency. 1. J.Barcelo, B. Bellalta, A.Sfairopoulou, C. Cano, M. Oliver",CSMA with Enhanced CollisionAvoidance: a Performance Assessment ",In Proceedings IEEE VTC Spring’09. 2. Somkiat Pornchaiwiwat and Watit Benjapolakul,”Coordinate Assigning Contention Window in Ad Hoc Network”,TENCON 2006. IEEE Region 10 Conference. 3. J.Barcelo, B. Bellalta, C. Cano, A.Sfairopoulou, M. Oliver, Carrier Sense Multiple Access with Enhanced Collision Avoidance: a Performance Analysis ",In Proceedings ACM IWCMC’09. 4. Wireless LAN Medium Access Control (MAC) and Physical Layer (PHY) Specification, IEEE Std. 802.11, 1999 Edition (Revised 2007). 5. Barcelo, J.Toledo, A.L. Cano, C.Oliver, M.,” Fairness and Convergence of CSMA with Enhanced Collision Avoidance (ECA)”,Communications (ICC), 2010 IEEE. 6. Hongqiang Zhai, Jianfeng Wang, Xiang Chen and Yuguang Fang,” Medium access control in mobile ad hoc networks: challenges and solutions”, Wireless Communications And Mobile Computing, 2006; 6:151–170 Published online in Wiley InterScience. Abstract: Electric discharge machining (EDM) has achieved remarkable success in the manufacture of conductive ceramic materials for the modern metal industry. The mathematical models are proposed for the modeling and analysis of the effects of machining parameters on the performance characteristics in the EDM process of WC/5Ni, Which is produced through powder metallurgy route. Response surface methodology (RSM)is used to explain the influences of four machining parameters ; tool rotational speed(S), discharge current(C), pulse-on time(T) and flushing pressure(P) on the performance characteristics of the material removal rate (MRR), and surface roughness (Ra). The experiment plan adopts the central composite design (CCD). The separable influence of individual machining parameters and the interaction between these parameters are also investigated by using analysis of variance (ANOVA). This study highlights that the proposed mathematical models have proven to fit and predict values of performance characteristics close to those readings recorded experimentally with a 95% confidence interval. Results shows that are the two significant factors affecting material removal rate (MRR) are discharge current and flushing pressure. The discharge current, flushing pressure and electrode rotation have statistical significance on the surface roughness (Ra). Keywords: Electro discharge machining (EDM), Material removal rate (MRR), Surface roughness (Ra), Response surface methodology (RSM . 4. C.J. Luis and I. Puertas, ―Methodology for developing technological tables used in EDM process of conductive ceramics, Journal of Material Processing Technology, vol. 89, No. 1-3, pp. 301-309, 2007. 8. Montgomery.D.C, Design and analysis of experiments, 4th ed., NewYork, Wiley, 1997. 9. Gunaraj.V, Murugan.N, “ Application of response surface methodology for predicting weld bead quality in submerged arc welding of pipes”, Int. Journal of Materials Processing Technology, 1999, Vol.88, pp266–275. 10. C. Senthilkumar G. Ganesan R. Karthikeyan Optimisation of ECM parameters using RSM and non-dominated sorting genetic algorithm (NSGA II) Int. Journal of Machining and Machinability of Materials,Vol.14, No.1. Y.2013,pp77-90. 11. Ghoreishi.M, Atkinson.J, “A comparative experimental study of machining characteristics in vibratory rotary, and vibro rotary electro discharge machining”, Int. 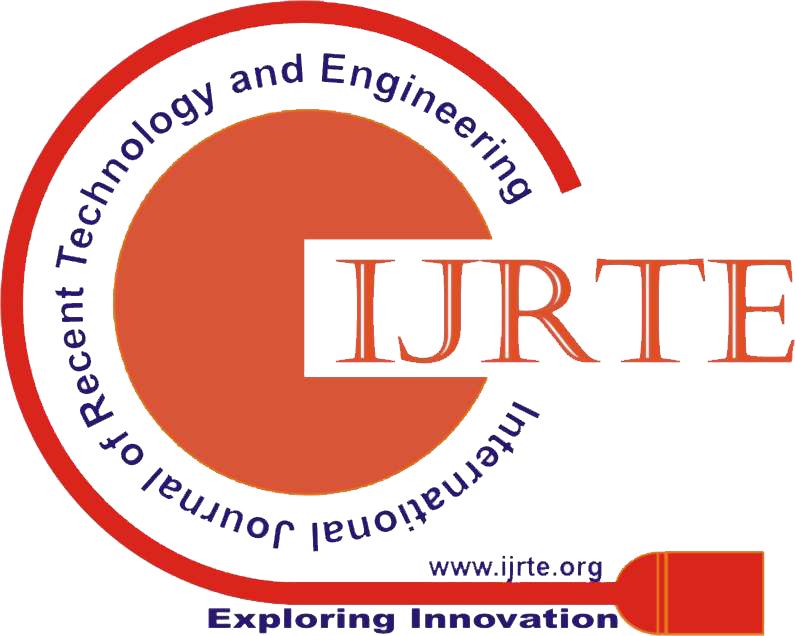 Journal of Material Processing Technology. 2002, Vol.120, pp374-384. 12. Kansal.H.K, Sehijpal singh, Kumar. P, “Parametric optimization of powder mixed electrical discharge machining by response surface methodology”, Int. Journal of Material Processing Technology, 2005, Vol. 169, pp427-436. 16. Y. Pérez Delgado , P. De Baets , K. Bonny , V. Carretero Olalla , J. Vleugels , B. Lawers , M.H. Staia Influence of wire-EDM on high temperature sliding wear behavior of WC10Co(Cr/V) cemented carbide, Int. Journal of Refractory Metals and Hard Materials (article in press 2013) . Abstract: There are many researches that have been proposed for hiding the data into digital videos. Most of those schemes uses the attributes of motion vectors like amplitude, phase angle etc. This paper deals with hiding data in compressed video where motion vectors are used to encode and reconstruct both the forward predictive (P-) frame and bidirectional (B-) frames in the compressed video. The subset of motion vectors are chosen based their associated macro block prediction error. Pertinent features will be collected from the motion in between the frames as in the form of the vectors in association with macro blocks and depending on the motion message is going to be hidden. To achieve the robustness a adaptive threshold is searched and low predictive error level is retained. Secret message bits are hidden in Least significant bit of both components of candidate motion vector. The evaluation will be based on two criteria: minimum distortion to reconstructed video and minimum overhead on compressed video size. 1. Aly ―Data Hiding in Motion Vectors of Compressed Video Based on Their Associated Prediction Error‖ IEEE Trans On Information Forensics And Security, Vol. 6, No. 1, Mar 2011 . 2. X. He and Z. Luo, ―A novel steganographic algorithm based on the motion vector phase,‖ in Proc. Int. Conf. Comp. Sc. and Software Eng., 2008, pp. 822–825. 3. P.Wang, Z. Zheng, and J. Ying, ―A novel video watermark technique in motion vectors,‖ in Int. Conf. Audio, Language and Image Processing (ICALIP), Jul. 2008, pp. 1555–1559. 4. S. K. Kapotas, E. E. Varsaki, and A. N. Skodras, ―Data hiding in H.264 encoded video sequences,‖ in IEEE 9th Workshop on Multimedia Signal Processing (MMSP07), Oct. 2007, pp. 373–376. 5. Xu, X. Ping, and T. Zhang, ―Steganography in compressed video stream,‖ in Proc. Int. Conf. Innovative Computing, Information and Control (ICICIC’06), 2006, vol. II, pp. 803–806. 6. D.-Y. Fang and L.-W. Chang, ―Data hiding for digital video with phase of motionvector,‖ in Proc. Int. Symp. Circuits and Systems (ISCAS), 2006, pp. 1422–1425. 7. Generic Coding of Moving Pictures and Associated Audio Information: Video, 2 Edition, SO/IEC13818-2, 2000. 8. Chen and G. W. Wornell, ―Quantization index modulation for digital watermarking a and information embedding of multimedia,‖ J. VLSI Signal Process., vol. 9. J. Zhang, J. Li, and L. Zhang, ―Video watermark technique in motion vector,‖ in Proc. XIV Symp. Computer Graphics and Image Processing, Oct. 2001, pp. 179–182. Abstract: Carbon Nanotube Field Effect Transistors (CNFETs) are being widely studied as the possible alternatives to the conventional silicon-MOSFETs. In this paper we have successfully designed the CNFET-based digital logic gates and compared them with the existing CMOS technology based logic gates. The designs are modeled using 32-nm technology for both CNFET and CMOS technology, using Stanford University’s MOSFET-like CNFET model   and 32-nm BSIM PTM (Predictive Technology Model) respectively. For CNFET-based circuits, the compact SPICE model including non-idealities, which has been used for simulations, is the standard model that has been designed for unipolar MOSFET-like CNTFET devices, in which each transistor may have one or more Carbon Nanotubes (CNTs). HSPICE simulations have been performed on the logic gates designed using both these technologies and their output behaviors have been extensively studied at different supply voltages keeping the designs at room temperature. The performances are evaluated in terms of power, delay and PDP to show that it is possible to reduce the delay and the power consumption of the logic gates by replacing the CMOS transistors of the design with the emerging CNFETs. Keywords: Carbon Nanotube (CNT), CNT Field Effect Transistor (CNFET), Logic gates. HSPICE . 2. Javey and J. Kong, editors: ”Carbon Nanotube Electronics”, (New York: Springer, c2009), pp. 5-260. 3. V. Derycke, R. Martel, J. Appenzeller, Ph. Avouris "Carbon Nanotube Inter- and Intramolecular Logic Gates," Nano Letters, 2001. 4. Bachtold, P. Hadley, T. Nakanishi, C. Dekker, "Logic Circuits with Carbon Nanotube Transistors," Science, vol. 294, no. 9 pp. 1317-1320, November 2001. 5. R. Martel, V. Derycke, J. Appenzeller, S. Wind, Ph. Avouris, "Carbon Nanotube Field-Effect Transistors and Logic Circuits," in Proc. DAC 2002, pp. 94-98, June 10-14, 2002, New Orleans, Lousiana, USA. 6. J. Deng, H.-S. P. Wong, “A Compact SPICE Model for Carbon-Nanotube Field-Effect Transistors Including Nonidealities and Its Application - Part I: Model of the Intrinsic Channel Region,” IEEE Trans. Electron Devices, vol. 54, pp. 3186-3194, 2007. 7. J. Deng, H.-S. P. Wong, “A Compact SPICE Model for Carbon-Nanotube Field-Effect Transistors Including Nonidealities and Its Application - Part II: Full Device Model and Circuit Performance Benchmarking,” IEEE Trans. Electron Devices, vol. 54, pp. 3195-3205, 2007. Abstract: Unlike encryption, steganography hides the very existence of secret information rather than hiding its meaning only. Image based steganography is the most common system used since digital images are widely used over the Internet and Web. The main aim of steganography is to increase the steganographic capacity and enhance the imperceptibility or undetectability. However, steganographic capacity and imperceptibility are at odds with each other. In addition, there is a tradeoff between both steganographic capacity and stego image quality. Hiding more data in cover images (higher capacity) introduces more artefacts into cover images and then increases the perceptibility of hidden data . Furthermore, it is not possible to simultaneously maximize the security and capacity of a steganographic system. Therefore, increasing steganographic capacity and enhancing stego image quality are still challenges. Secret image extraction is done by the proposed technique in which first the cover image is recovered by noise removal methods and then applying alpha blending. Since peak signal-to-noise ratio (PSNR) is extensively used as a quality measure of stego images, the reliability of PSNR for stego images is also evaluated in the work described in this dissertation. The proposed work is compared with the existing method using PSNR, MSE, NCC, MAD, SC as comparison parameters. Proposed technique reduces the requirement to keep record of cover images for secret information extraction. Otherwise for each information received, the receiver should also have the cover image saved with him. In the proposed technique I have tried to obtain the secret image from stego image without having cover image, considering secret image as noise. The technique deals with steganography in wavelet domain. Complete work can be seen as adding noise to cover image, and then using noise removal technique to obtain secret image. Soft thresholding and bilateral filtering used for removing noise are efficient. Experimental results shows that there’s a trade – off between stego image and secret image extracted. It is seen that as we increase the value of alpha, stego image degrades, but secret image improves. The secret image obtained is in visually acceptable form. Results shown are objective and subjective in nature. 1. S .K. Moon and R.S. Kawitkar, “Data Security using Data Hiding”, International Conference on Computational Intelligence and Multimedia Applications, vol.- 04, pp. 247-251, Dec. 2007. 6. Chih-Chin Lai,Member, and Cheng-Chih Tsai,” Digital Image Watermarking Using Discrete Wavelet Transform and Singular Value Decomposition”, Ieee Transactions on Instrumentation and Measurement, Vol. -59, No. -11, pp. 3060- 3063, November 2010. 8. Ma Ding, Fan Jing,” Digital Image Encryption Algorithm Ba sed on Improved Arnold Transform”, International Forum on Information Technology and Applications, Vol. -1, pp. 174- 176, 2010. 11. Divya saxena,” Digital Watermarking Algorithm based on Singular Value Decomposition and Arnold Transform”, International Journal of Electronics and Computer Science Engineering, pp. 22- 27. Abstract: Nanoscience and nanotechnology are considered to be the key technology for the recent era. Efforts are being worldwide to create smart and intelligent textiles by incorporating various nano particles or by creating nanostructured surfaces and nanofibres which lead to unprecedented level of textile performance such as stain resistant, self cleaning, antistatic, UV protective and various chemical and mechanical properties. The purpose of this paper is to examine the implications of nanotechnology for the fibre and textile industries in the world. The basics and impacts of nanotechnology are discussed in terms of various advanced products by different manufactured along with the properties of the products. With an appreciation of what nanotechnologies are emerging globally in the fibre and textile areas, the local industry will have the necessary background to ask the right questions and make informed decisions. Keywords: Carbon nanotubes Nanofibre, Electrospinning, Nanocomposites, Nanoparticles, Nanomaterial, Nanoemulsion, Plasma and Nanosphere. 3. “Nanoscience and Nanotechnologies: Opportunities and Uncertainties”, The Royal Society and The Royal Academy of Engineering, July 2004. 10. Holme, “Nanotechnologies for Textiles, Clothing, and Footwear”, Textiles Magazine, 32 (No. 1), 7-11 (2005). 13. T. Graf and K. Graham, “Polymeric Nanofibers and Nanofiber Webs: A New Class of Nonwovens”, paper presented at INTC 2002: International Nonwovens Technical Conference (Joint INDA – TAPPI Conference), Atlanta, USA, September 24-26, 2002. 14. T. Graf and K. Graham, “Nanofiber Webs from Electrospinning”, paper presented at Nonwovens in Filtration - Fifth International Conference, Stuttgart, Germany, March 2003. 15. M. Zhang, K.R. Atkinson and R.H. Baughman, “Multifunctional Carbon Nanotube Yarns by Downsizing an Ancient Technology”, Science 306 (Issue 5700), 1358-1361, 19th November 2004. 18. “Nanotechnology in Textiles”, INNEUORTEX, Heriot-Watt University, March 2004. 29. L. Qian, “Nanotechnology in Textiles: Recent Developments and Future Prospects”, American Association of Textile Chemists and Colorists Review, 4 (No. 5), 14-16, May 2004 (and references therein). 30. Holme, “Softness Enhances Consumer Comfort”, International Dyer, 190 (No. 2), 9-11 March 2005. 35. Yializis, “A Nanolayer Technology for Treating and Coating Textile Materials”, International Fibre Centre, Dyeing and Finishing Resources Seminar, 19th August 2004. 37. Markus Schwarzenbacher, “The Nano-Technologie - by Schoeller®”, Schoeller Textil AG (Switzerland). 39. Markus Schwarzenbacher, “Smallest Particles with a Major Effect: Nanotechnology Facilitates the Self-Cleaning Principle”, Schoeller Textil AG (Switzerland). 44. I. Luzinov, P. Brown, G. Chumanov and S. Minko, “Ultrahydrophobic Fibres: Lotus Approach”, poster presented at The National Textile Center 13th Annual Forum, North Carolina, March 2005. Abstract: Enterprises always used organizational internal storage system for storing data. Mainly in a Customer Relational Management i.e. CRM system, the internal storage will be used for storing all the data of the customer. On the other hand, the main drawbacks in the data storage is there may be intruder’s in the administrator side and they may acquire all the information about a customer. Above threats can happen in same service provider in a cloud computing environment. To overcome with this kind of challenges in cloud computing, there is need of an innovative algorithmic approach for data security in cloud computing.A CRM (Customer Relational Management) system services is represented in this paper using RC5 algorithm. In the proposed system the party that uses cloud storage services must encrypt data before sending it to cloud while the service provider who is responsible for encryption/decryption of the user’s data and then must delete data once encryption/decryption process is completed. In this paper the use of CRM services which demonstrates how the parties involved in secure storage and retrieval when data is saved to the cloud. Keywords: Cloud Computing, CRM Service, Data Retrieval and Storage, Encryption/Decryption, RC5 algorithm, Secure Storage. 1. Jing-Jang Hwang, Hung-kaiChung, Yi-Chang Hsu, Chien-Hsing Wu, “A Business Model for Cloud Computing Based on a Separate Encryption and Decryption Service” , IEEE 2011. 3. Weiss, “Computing in the clouds”, networker, vol. 11, no. 4, pp. 16-25, December 2007. 4. S. Yeo, S. Venugopal, X. Chu, and R. Buyya, "Autonomic metered pricing for a utility computing service", Future Generation Computer Systems, vol. 26, issue 8, pp. 1368-1380, October 2010. 5. M. Baker, R. Buyya, and D. Laforenza, “Grids and grid technologies for wide-area distributed computing,” International Journal of Software:Practice and Experience, vol.32, pp. 1437-1466, 2002. 6. B. R. Kandukuri, V, R. Paturi and A. Rakshit, “Cloud security issues,”in Proceedings of the 2009 IEEE International Conference on Services Computing, pp. 517-520, September 2009. 7. R. Sterritt, “Autonomic computing,” Innovations in Systems and Software Engineering, vol. 1, no. 1, Springer, pp. 79-88. 2005. 8. R. Buyya, C. S. Yeo, S. Venugopal, J. Broberg, and I. Brandic, “Cloud computing and emerging IT platforms: vision, hype, and reality for delivering computing as the 5th utility,” Future Generation Computer Systems, vol. 25, issue 6, pp. 599-616, June 2008. 9. L. M. Vaquero,L. Rodero-Merino,J. Caceres, and M. Lindner, “A break in the clouds: towards a cloud definition,” ACM SIGCOMM Computer Communication Review, vol. 39, no. 1, pp. 50-55, January 2009. 10. R. Rivest, A. Shamir, and L. Adleman, “A method for obtaining digital signatures and public key cryptosystems”, Communications of the ACM, vol. 21, no. 2, pp.120-126, 1978. 11. V. Miller, “Uses of elliptic curves in cryptography,” Advances in Cryptology - CRYPTO '85, Lecture Notes in Computer Science, pp. 417-426, 1986. 13. Harsh Kumar Verma, Ravindra Kumar Singh, “Performance Analysis of RC5, Blowfish and DES Block Cipher Algorithms” , in International Journal of Computer Applications (0975 – 8887) Volume 42– No.16, March 2012. Abstract: Road embankments, low lying areas require large quantities of soils for their construction. Structures like these located in expansive soil areas needs special attention for the use of local materials as construction materials. In this aspect use of stabilized materials needs special attention. Flyash is one such material can be mixed with expansive soils and used as Geotechnical material. In this an attempt is made for the utilization of Flyash in Bulk quantities by adding various percentages of Flyash to the expansive soils and verified their behaviour. Tests like compaction, UCS and CBR were performed on these mixes and identified that addition of Flyash increases the strength and decreases the swelling characteristics. From the test results it is also identified that high strength values were also obtained at plastic limits. An addition of 20-30% of Flyash needed to stabilize expansive soil are used as sub-grade and other construction materials in geotechnical applications. Keywords: Expansive soil, Flyash, Unconfined compressive strength, CBR. 1. Boominathan, A. and Hari, S. (1990), Behavior of Flyash under Static and Cyclic Loading. Proc. of IGC-99, Calcutta, 324-326. 2. Boominathan, A. and Ratna Kumar, J. (1996). “Lime treated Flyash as Embankment Material, ” (IGC-96) Madras pp. 523-526. 3. Chen, F.H.,(1988), “Expansive soils what have we accomplish”, Proceedings of international conference of regional soils. Beijing, China pp.561-563. 4. IS 2720 : Part 16 : 1987 Methods of Test for Soil - Part 16 : Laboratory Determination of CBR. 5. IS 2720 : Part 6 : 1972 Methods of test for soils: Part 6 Determination of shrinkage factors. 8. Kate J.M., (2009) “Behaviour of Expansive Clays Treated with Lime- Flyash Admixtures” IGC, at IIT Delhi, New Delhi has published a paper in IGC 2009, Guntur, INDIA. 9. Katti, R.K. Darga Kumar et.al, (1978), “Search for solutions for problems in Black cotton soils,” Indian Geotechnical Conference (IGC) -1978, New Delhi. 10. Katti, R.K.(1979), “ search for solutions to problems in black cotton soils ”, First IGS annual lecture, Indian Geo-technical journal, vol. 9, pp. 1-80. 11. Nelson, D. J and Miller. J.D. (1992). “Expansive Soils : problems and Practice in foundation and pavement Engineering” John Wiley & Sons, New York. 12. Pandian N. S., C. Rajasekhar and A. Sridharan, Studies on the specific gravity of some Indian coal ashes, J. Testing Evaluation, ASTM, 26, 177–186 (1998). 13. Phanikumar B.R., & Radhey S.Sharma(2004) “Effect of flyash on Engg properties of Expansive Soil” Journal of Geotechnical and Geoenvironmental Engineering Vol. 130, no 7, July, pp. 764-767. 14. Phanikumar.R. et.al (2009), “Effect of Initial Surcharge on Swelling Characteristics”. IGS 2009, Guntur, INDIA. 15. Ramakrishnan, A.K., et al., (2001), “Stabilization of Annamalai Nagar Clay with lime-flyash,” The New Millenium Conference, IGC-2001, Indore, pp. 251-254. 16. Satyanarayna. B (1969), “Behaviour of expansive soil treated with sand”. Proceedings to Res.&Engg.Cont. : on expansive clay soils Texas. 17. Sridharan, A., Prashanth, J.P., and Sivapullaiah, P. V. (1997). “Effect of fly ash on the unconfined strength of black cotton soil”. Ground Improvement, 1, 169-175..
Abstract: A turn fault in the stator winding of a generator causes a large circulating current to flow in the shorted turns. If left undetected, turn faults can propagate, leading to phase-ground or phase-phase faults. Incipient detection of turn’s faults is essential to avoid hazardous operating conditions and reduce down time. At present the synchronous generators are protected against almost all kind of faults using differential methods of protection. All kind of faults develops into inter winding fault by damaging inter winding insulation. So it is necessary to protect the synchronous generator from inter winding faults which represents the protection against all kind of faults. There are different method based techniques for analyzing generator incipient/inter turn faults on stator side. They are circuit based, field based, wavelet based, artificial intelligence based, fuzzy based, artificial neural networks based. Machine performance characteristics that could be monitored to diagnose the stator inter-turn fault in generator include line current, terminal voltage, torque pulsations, temperature rise due to excessive losses, shaft vibrations, air-gap flux and speed ripples. So in this we are developing a mathematical model or method based on online/offline condition monitoring system by analyzing various conditions and collecting various samples of voltage and current (i.e. normal and abnormal) for protection of generators against faults (i.e. means incipient/inter turn faults) on stator side. The main Objective is to develop a mathematical model or method based on online/offline condition monitoring system by analyzing various conditions (i.e. normal and abnormal) for protection of generators against faults (i.e. means incipient/inter turn faults) on stator side. Keywords: Synchronous generator, windings, internal winding faults, fault detection, fault diagnosis, incipient faults, ANSYS. 1. H.Z.MA, L P U, “Fault Diagnosis Based on ANN for Turn-to-Turn Short Circuit of Synchronous Generator Rotor Windings,” J. Electromagnetic Analysis & Applications, 2009. 2. Hongwei Fang, and Changliang Xia, “Fuzzy Neural Network Based Fault Detection Scheme for Synchronous generator with fault,” China Postdoctoral Science Foundation funded project. 3. Jaiomin liu, ” Inter-turn Short Circuit Fault Diagnose System Based on VB.Net,” The 3rd International Conference on Innovative Computing Information and Control. 4. S. J. Salon,” Finite Element Analysis of Electrical Machines”, Book, Kluwer Academic Publishers, Norwell, MA, USA, 1995. 5. L. Petkovska, M. Cundev, G. Cvetkovski, V. Sarac “Different aspects of magnetic field computation in electric machines”, in Proc. IGTE Symp., 2002, pp. 294-299. 6. D. Meeker” Finite element method magnetics”, User’s Manual, FEMM Version 3.3, Massachusetts, USA, 2003. 7. Z. Kolondzovski, L. Petkovska:”Analysis of the synchronous machine reactance and methods for their determination”, MAKO -CIGRE Symp., Ohrid, 2004. 8. S. J. Salon “Finite Element Analysis of Electrical Machines”, Book, Kluwer Academic Publishers, Norwell, MA, USA, 1995.
of Tennessee Space Institute Tullahoma, TN, USA, March 15-17, 2009. 10. Olivier Chadebec, Viet Phuong Bui, Pierre Granjon, Laure-Line Rouve, Nicolas Le Bihan, and Jean-Louis Coulomb,“Rotor fault detection of electrical machines by low frequency magnetic stray field analysis” Diagnostics for Electric Machines, Power Electronics and Drives Vienna, Austria, 7-9 September 2005. 11. A.Chakrabarti, M.L.Soni, P.V.Gupta, U.S.Bhatnagar,”A Text Book On Power System Engineering”, Dhanpat Rai & Co.V.K.Mehta, ”Power System”, S.Chand.